Real edible gold leaf on real chocolate. Delicious and oh such a fashion statement! Smells great too! Everything is edible except for the wire, please don’t eat or chew on the wire. The chocolate is edible, but if you hold out and keep it safely tucked away, you can be the hit of the party more than once! Enjoy! 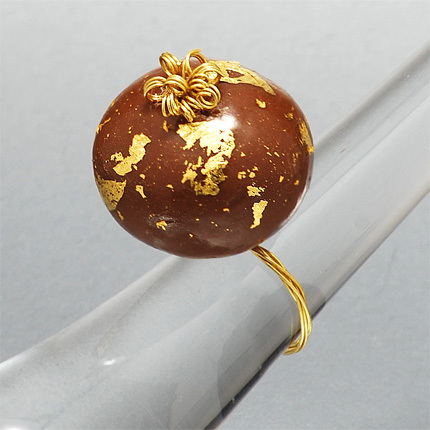 chocolate and jewelry, does it get any better? For an additional $25+shipping, we can reuse, recycle the wire into a new ring, just ask!